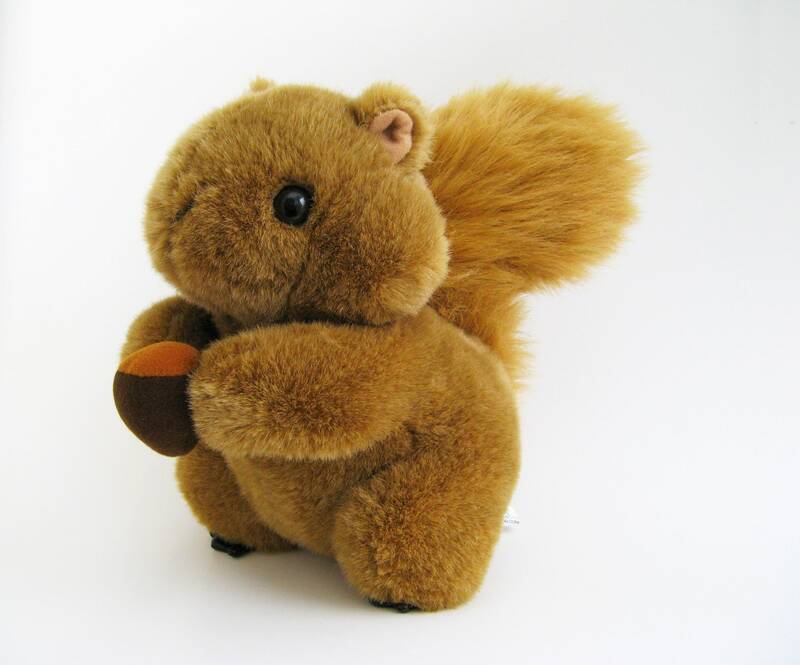 Adorable vintage Squirrel stuffed animal. He is holding a brown acorn nut. Black beady eyes, black feet, big bushy tail. So cute and full of personality! Made by America Wego in 1991. This lion is so precious! His dimples are so cute and his smile lights up the room! Felicia is extremely sweet and really cares about her customers! Thank you!! !